Providing tailored supply chain solutions. 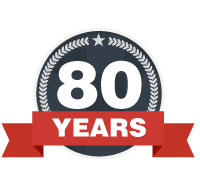 For 80 years, CH2 has been Enabling Australian Healthcare. Proudly Australian owned and operated CH2 is Australia's leading integrated distributor of pharmaceuticals, medical consumables, nutritional, OTC, equipment and veterinary products servicing the healthcare market. With solid experience in all aspects of healthcare distribution, our expertise and solid core attributes make Clifford Hallam Healthcare a partner of choice. CH2 services all banners of the healthcare market including Hospital, Community Pharmacy, Primary Care, Veterinary, Aged and Community Care as well as Contract Logistics. Our extensive product range, dedicated teams, tailored supply chain and propriety solutions enable CH2 to deliver exceptional customer service. Our greatest strength comes from our ingrained culture of building solid client and supplier relationships, maintaining open lines of communication, and delivering on what we say we will do. Clifford Hallam Healthcare has an extensive product range of 50,000 products to meet your needs. Clifford Hallam Healthcare covers all your needs catering for all categories in the healthcare market. Clifford Hallam Healthcare has dedicated teams with expert knowledge in their fields. Clifford Hallam Healthcare has strong relationships with over 700 leading industry suppliers. Our best in class logistics operations enable CH2 to deliver your orders in a fast and reliable manner. CH2 have several proprietary solutions to maximise your ordering experience. Clifford Hallam Healthcare have a low cost, high in quality private label offering for your business. Direct to Door provider of healthcare and wellness products for Aged Care..
"Prompt service and delivery, quick resolution of any problems that occur, wide range of products relevant to General Practice"
"Reliable prompt service, efficient ordering via their online ordering system, helpful and supportive staff for phone enquiries, competitive pricing"
" Fantastic team at CH2, providing excellent service & support"
"I find the ordering process is easy and deliveries timely. The representative provides excellent service. Staff always friendly and helpful."